Opportunity Knocks | Bloom In the Dark, Inc.
We have just received an opportunity which will allow us to represent Bloom in the Dark and its mission of healing at both the 2016 AND 2017 conferences of the American Association of Christian Counselors for half the normal cost! The opportunity is only available if we commit and pay the $3,000.00 today. This will pay for both years. Our attendance at the 2015 conference (we paid $2,000.00) was hugely successful in that it allowed us to establish connections with Christian counselors, coaches, professionals, and students from around the world and to share with them the work that God is doing through Bloom In The Dark, Inc. These pastors, counselors, and ministry leaders are our target audience because they are the ones helping hurting women who need our message on a daily basis. They are helping through counseling, coaching, community outreach, public speaking, writing, etc. 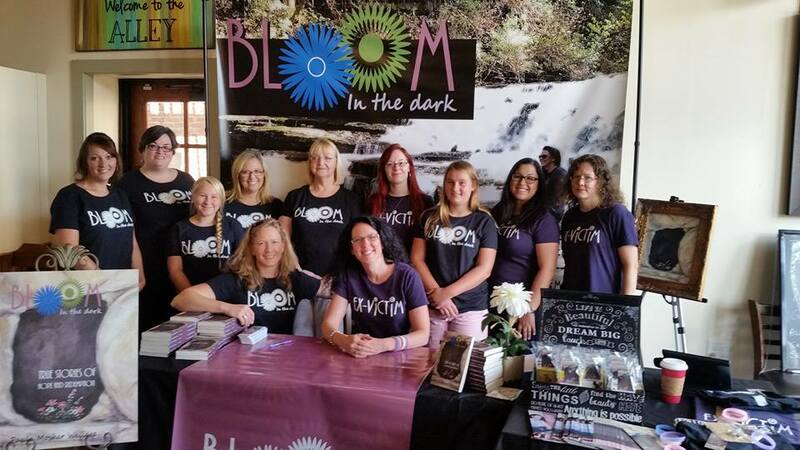 At last year’s conference, we were able to give digital or paperback copies of Bloom in the Dark to over 2,000 of the 7,000 conference attendees, which has in turn spread our message of hope and healing through Christ to their multiple ministries across the country, from prison ministries in Wisconsin to domestic violence awareness training services in Arizona. We are incredibly thankful that God has blessed us with the opportunity to attend this influential conference for the next two years, and we are seeking His will about the ways in which we spread His vision at these events. However, in addition to help paying the booth fees, we need transportation to and from Dallas, food while we are there, and merchandising and printing costs so that we can give (yes, GIVE) books away to any and all who have the resources and connections to reach those who are in need of hope. We are confident that attending these conferences is in God’s perfect will for this organization as He has miraculously provided this discount for us to be able to attend at such a reduced cost. If you would like to support us as we continue to seek His provision and guidance in planning for this September’s event in Dallas, you can donate at our GoFundMe account, through the PayPal link on our website, or by purchasing books or other merchandise through our online store. Whether or not you feel led to give financially today (as a 501c3 charity, all your donations are tax deductible), we ask that you continue to pray with us for wisdom in operating and growing this ministry and continuing to reach the broken so that they may find healing in Christ. We also ask that you share this on Facebook, LinkedIn, Twitter, email, or any other way you see fit. We can reach far more people together than we ever could alone! Great post I wish you all the best on your future endeavors!